What’s the difference between embedded CRM and best-of-breed CRM? 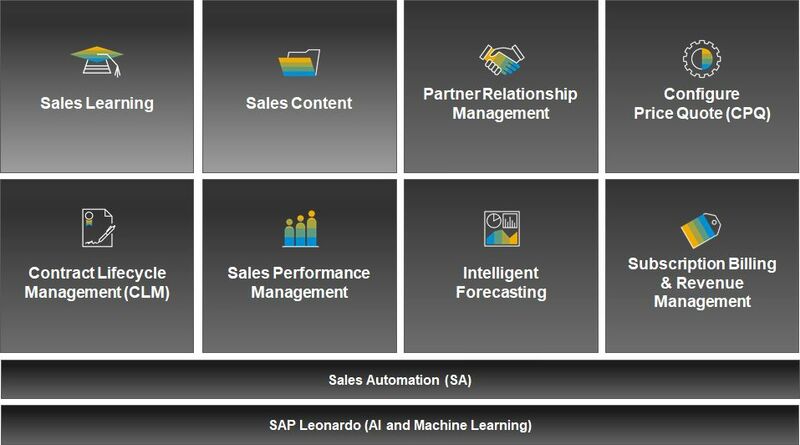 As product manager which has been working for most of the SAP developed CRM solutions I often get asked about the differences and merits of stand-alone marketing, sales and service solution and those which are embedded into an ERP. Embedded self-services for managers and employees like expense reporting, budget control, target planning and team management etc. So you might ask “what is now the best for my business?”. The answer depends a lot on the priorities,strategy and size of your company. If you have a medium-sized organization with limited IT budget you probably want keep the number of systems you need to run low. 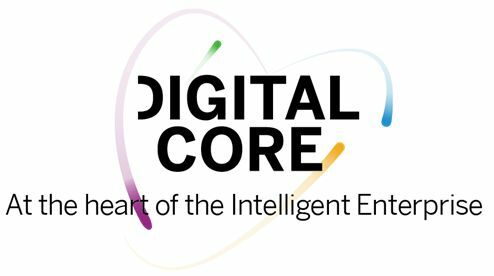 So you essentially need a digital core like the Cloud ERP SAP Business ByDesign and e.g. want to connect your webshop or POS solution to it. Depending on your business you might than later on decide to extend the ByDesign embedded campaign management with a best-of-breed marketing solution like SAP Marketing Cloud in order to expand your consumer and social media marketing. Other companies which e.g. have a B2B-only focus might instead extend the ByDesign embedded collaboration window with an omni-channel communication center solution like SAP Customer Engagement Center to enhance selling and service by phone and social media channel. SAP Business ByDesign is in both cases the digital core for an end-to-end marketing, sales, and service customer journey covering the complete process from first interaction to order execution. This gives the benefit of a minimized TCO with business processes which easily cross departmental boundaries without interruption. If this is not sufficient the core can be extended with any SAP or 3rd party CRM stand-alone solution step-by-step. For sure it is also an option to take SAP C/4HANA as complete solution. 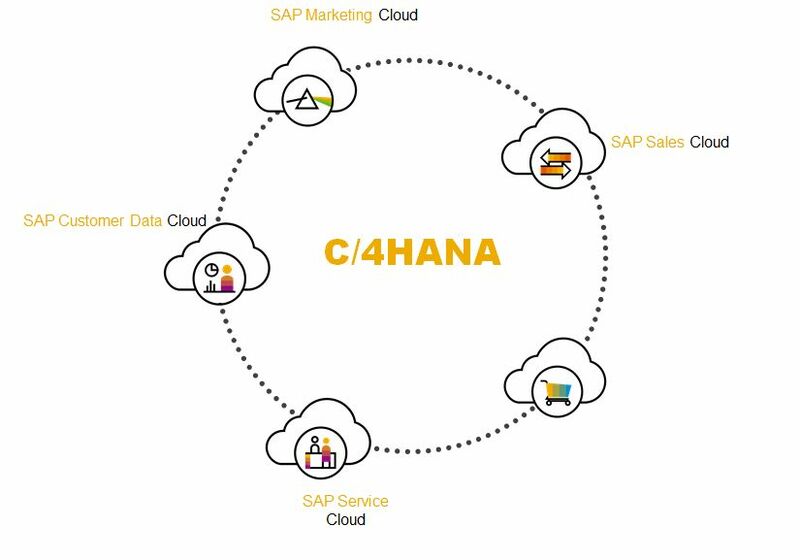 C/4 is the 4th generation CRM suite for high-end marketing, sales, and service scenarios and can be integrated to SAP Business ByDesign as digital core. Choosing this approach organizations benefit from maximized end-to-end business processes and a well integrated digital core. Marketing Cloud is SAP’s campaign management and marketing automation solution. It provides everything from gathering interactions, merging and enriching data, segmentation, predictions and personalized marketing content on various communication channels. 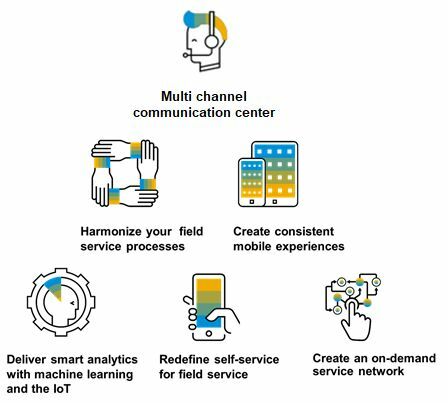 Service Cloud provides not only multi-channel communication center (SAP Customer Engagement Center) but also field service (aka Core Systems and Cloud for Service) including IoT integration.